Transfer students, either from another college within the university, or from another institution, may be given Conditional Advanced Standing upon entry to the university, allowing them to take no more than nine credit hours in upper-division major courses. Conditional Advanced Standing may be granted only if the student is in the final semester of pre-business core completion. 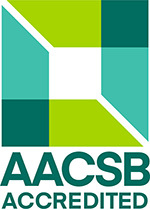 Transfer students must meet with the business adviser before enrolling in any upper-division courses to determine the extent to which the pre-business core has been fulfilled. MANY OF THE PRE-BUSINESS CORE FOUNDATION COURSES MAY BE SATISFIED AT ANY OF THE UTAH SYSTEM OF HIGHER EDUCATIONAL INSTITUTIONS. ONLY 12 HOURS OF UPPER-DIVISION COURSE WORK MAY BE TRANSFERRED INTO THE SUU BUSINESS MAJOR REQUIREMENTS. Choose the appropriate institution name for information.